At Tim Greenwood & Associates, our surveyors provide assistance with party wall matters across Surrey, Sussex and London. Working with residential and commercial properties, here are answers to the questions most frequently asked by our clients. How do I know if my work is covered by the Party Wall Act? • Digging close to a neighbouring property, lower than its foundations. Common projects affected by the Party Wall Act include building conservatories or extensions, removing chimneys, converting attics or basements and cutting into a project wall as part of a renovation. If you still aren’t sure, it’s better to be on the safe side. Get in touch with us to discuss your situation and we can help you determine whether your project is affected by the Act and what your next steps should be. Who is classed as my Adjoining Owner? If you are working on a party wall that is shared by a single freeholder in the neighbouring property then identifying your Adjoining Owner will be straightforward. However, it can become significantly more complex if you are working on multiple walls, live next to a leaseholder or share a boundary with a building that has multiple occupants (such as a block of flats). 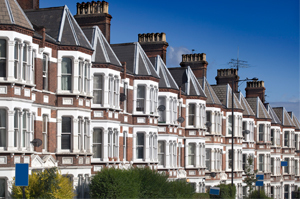 For the purposes of the Party Wall etc Act 1996, your Adjoining Owner is classed as anybody that has more than a year-to-year interest in the property affected by the work. This means that you will need to notify long-term tenants, leasehold owners and freehold owners where applicable. How do I serve Notice? You will need to give your neighbours a detailed plan of your proposed works, along with a schedule of works and an indication of how their property will be affected. There is a formal procedure for doing this, and it’s recommended that you hire a qualified surveyor to assist you. Failing to include all of the necessary information, or serving the Notice incorrectly, will result in any agreement being invalid and leave you liable. Notice can be delivered personally or by post but should be served at least two months prior to your intended start date. What happens once I have served Notice? Once they have received your Notice Your Adjoining Owner must provide their consent, in writing, within 14 days. If they do not, it will be assumed that the matter is in dispute and begin a formal resolution process. They may decide to appoint a surveyor to assist them in making their decision (whose fee you will need to cover, even if it is not the same surveyor as yours), and they may submit counter-notice if they wish to make alterations to your proposal. Your surveyor(s) will impartially negotiate terms to draw up a Party Wall Award, outlining the agreed plans for the work to be carried out. What does a Party Wall Award cover? Your Party Wall Award will detail the scope of the project and the agreed terms for how and when work will be carried out. For example, the Adjoining Owner may not be happy for work to be conducted at weekends, or that they can only grant access via their property at certain times. The Party Wall Award will also contain a Schedule of Condition, which documents the current state of the adjoining property in the event that damage occurs that needs to be made good once work has completed. At Tim Greenwood & Associates, we offer an experienced surveying service to assist Building Owners and Adjoining Owners with all party wall matters. If you are preparing to notify your neighbours, have been served Notice or would like representation to settle a dispute, please get in touch. Our Party Wall Surveyors have many years’ experience and provide impartial advice in all situations.